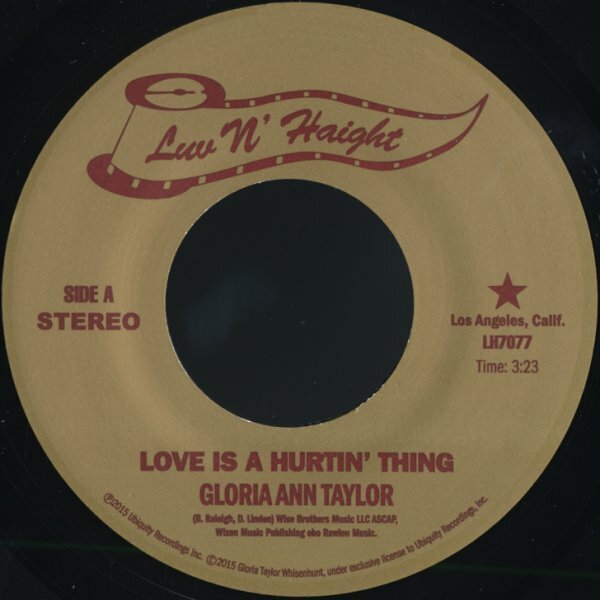 Some mighty fierce, almost freaky guitar starts out this rare gem from Gloria Ann Taylor – before these weirdly exotic strings come in and warm things up, then set a course for Taylor's vocals to follow! Guitar returns strongly for this nice trippy solo in the middle – and really makes the track something unique! "Brother Less Than A Man" has a nicely righteous vibe – congas with the rhythms, and this gospelly lead from Gloria right at the start – before soaring into the fierce, powerful groove of the cut – which almost feels like one of Archie Shepp's more spiritual experiments from the early 70s – but with heavy guitar instead of tenor! © 1996-2019, Dusty Groove, Inc.
How Long Do I Have To Wait For You? (reggae version)/How Long Do I Have To Dub For You?